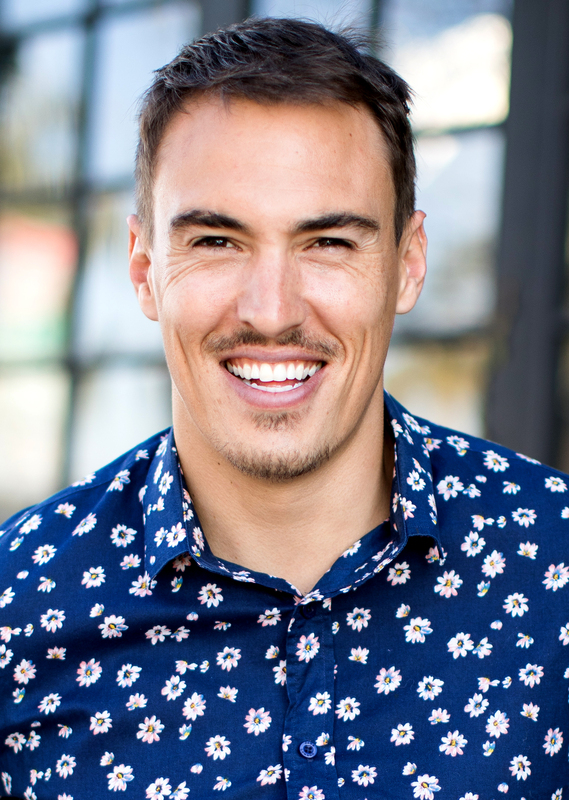 Courtney Dober is a versatile and energetic Australian TV host, producer, and actor with a wealth of experience in front of, and behind, the camera. Courtney has hosted Australia’s biggest and longest running travel show ‘Getaway’, an international travel/fashion series for ABC – ‘Fashion ASIA’, 4 seasons of ‘Kim & Courtney’s Theory of Awesomeness’ for Disney Australia, and his own talk show for major Australian network – Channel 7, which he wrote, produced and hosted – ‘Showcase TV’ – just to name a few. Only 5 months into 2018, Courtney has taken on many roles. One was being the TV host for Channel 9’s talk show, CyberShack, where he reported on all the latest technology from around the world. In Addition, Courtney recently completely two short films, Duplicity and Babel, as their lead roles, as well as being the lead fireman in a “Hero Wipes” commercial. You may have also seen his face on a familiar show called “The Bachelor Winter Games” on ABC7 where he represented Australia in the newest US Bachelor spinoff series. Courtney is also familiar with another version of “being in front of the camera” as he was the lead model in a photo-shoot for Omaze. Getting his start back in 2009, Courtney has never been camera shy. Whether it is presenting at the Mercedes Benz Fashion Week, or hosting E! News Australia, Courtney is always looking for the next best thing. Not only is Courtney talented in front of a camera, he is also a product inventor. Aside of many creations he has put together, his main product is CleverDux. CleverDux are colored wristbands with different medical needs listed on them: asthma, allergy, epilepsy, diabetes, etc. His mission is to ensure that no parent ever has to experience the preventable hospitalization or death of their child due to a foreseeable incident. The “See & Save” system aims to provide the global standard, in which anyone can deliver the safest environment for a child to grow, learn, and play. In 2018, Courtney will launch the “See & Save” medical wristbands as a free initiative to children in the USA. 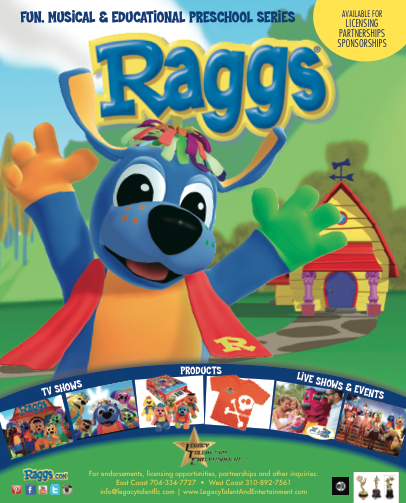 The Emmy Award-winning “Raggs” musical TV series offers partners a truly incredible, versatile and growing brand to reach the early childhood and family demographic. The Raggs brand assets easily extend to products, live shows, sponsorships and innovative partnerships. Staring five colorful canine characters, Raggs, Trilby, Pido, B. Max and Razzles, the “Raggs” TV series rocks with original music while presenting a strong educational foundation and demonstrating positive social skills. The modular series received the E/I, (educational and informative) certification from the Federal Communications Commission and includes an innovative mix of early elementary themed-segments related through the use of live action stories, music videos, concerts, cartoons and interviews with real kids. “Raggs” is an international brand including TV distribution, multi-platform digital distribution, CDs, DVDs, toys, books and touring. Today, “Raggs” can be seen in the U.S. on select PBS stations, the Qubo cable network and in Spanish on NBC’s Telemundo. Worldwide, “Raggs” is seen on major networks throughout Latin America and other countries, with additional new broadcasters and outlets picking up the series in 2015. RaggsTV on YouTube is growing viewership exponentially. Key licenses include a full line of plush toys, backpacks and pillows from Fiesta Toys; special edition pianos and music books from Schoenhut Toy Piano Company and a new line of resort apparel from Grupo Textil in Mexico. Raggs has played over 4,000 live performances around the world including four appearances at The White House, three tours with Armed Forces Entertainment to Asia and Europe, countless appearances at fairs and festivals, two performing arts tours in the U.S. and as part of a nationally televised live Christmas concert for an audience of 100,000 in Sydney, Australia. In 2014, the Raggs Band’s live event experience expanded to include a long-term partnership called “Play at Palladium with Raggs” with the Palladium Hotel Group at their all-inclusive luxury resorts in Mexico and the Caribbean. The “Play at Palladium with Raggs” program includes the Raggs Pirate Show, a full theatrical production with the costumed characters, 20 dancers and an emcee; a weekly custom breakfast with the characters and a weekly wild and crazy “Pido’s Surf Party” disco event for kids and parents. Raggs is also an integral marketing partner with Grand Palladium, frequently featured in articles such as U.S. Airways Magazine, U.S.A. Today, other city dailies, online outlets, and many blog articles. Created by former Charlotte, NC advertising executive, Toni Steedman, for her then 6-year old daughter, “Raggs” boasts an incredible inventory of 195 half hour episodes, over 200 original and cover songs and over 1,000 segments. Over 200 producers, directors, writers, musicians, animators, set designers, costumers, actors, and crew worked tirelessly to create this series. While the original production (2006-2009) was created in Sydney, Australia, Raggs has been translated to U.S. English, Hebrew and Spanish. New segments and production continue with the debut of 20 classic children’s songs and animated companion videos in early 2015. This exceptionally large library gives “Raggs” staying power in the industry. “Raggs” and all rights are owned by Blue Socks Media LLC, Charlotte, NC. One of the hottest shows on television, “Lizard Lick Towing”, is currently in its fourth season on truTV, and maintains ratings that make it #1 on the network. Ron and Amy Shirley are the dynamic duo who star in the wildly successful show. Ron and Amy started their NC business, Lizard Lick Towing and Recovery, in the spring of 1998 with a single truck, but now has a fleet of 20 trucks and covers nine counties. The Lizard Lick Towing crew first appeared on the show “All Worked Up” on truTV in 2009. 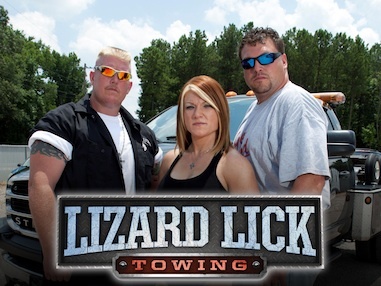 After proving to be one of the more popular re-occurring segments, Lizard Lick Towing was given their own reality show. The show first premiered on February 7, 2011 and featured the intense reactions to the company’s repossessions, complete with the dynamic and entertaining personalities of Ron, Amy, and their friend/co-worker Bobby Brantley. It quickly became a fan favorite. The Season 3 premiere in January of 2013 had 2.9 million viewers tune in, marking a 30% increase in viewers from the season 2 to season 3 premieres. The show chronicles the day-to-day running of the business, which is never short on controversy, drama, or “Ronisms,” the off-the-cuff witty phrases that spill out of Ron’s mouth. While he runs the daily operations of the business and goes on repo runs, Amy manages the office, dealing with irate owners who want their property back. She’s not just a businesswoman though, Amy’s resume includes being a world champion power lifter, martial artist, licensed mortician, and mother to four children. In other words, she’s a force to be reckoned with. Ron, a pastor at The Eastern Chapter of Dirt Church, uses the show as a platform to share his faith, as the dynamic duo are very open about their Christian beliefs, truly walking the walk on and off camera. “Lizard Lick Towing” now ranks among basic cable’s top five programs in its time slot with total viewers and key adults. 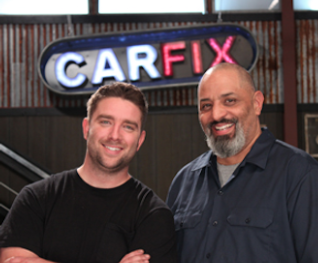 “Car Fix” is the ultimate “how-to” series featuring industry experts Lou Santiago and Jared Zimmerman. This dynamic duo showcases special hands-on automotive projects including modifications, upgrades, and repairs using high-end performance and aftermarket products. Lou and Jared are also known for their SpikeTV hit “Muscle Car” that featured the rebuilding old American muscle cars from the ground up. Lou ended up hosting 45 episodes of the show which delved into the lives of mechanics, painters, and auto techs as they attempted to restore classic automobiles to their glory days. Lou, a former Navy Seabee mechanic, has also hosted Discovery’s “Ultimate Car Build Off” and been a guest host for Hot Rod Magazine TV, Extreme 4×4, Horsepower and V8TV.com. The Discovery Channel’s “Airplane Repo” is a high powered, action packed, documentary-style reality television show. It follows repossession agents, including Danny and Ken, hired by financial institutions to recover some pricey assets. Better known as “The Pit Bull,”Danny was attracted to repos because of his love of travel and thrill of the chase. Prior to joining the cast Danny was a bounty hunter for 13 years, priding himself on bringing over 3,500 men to justice. He’s no stranger to the physical world of repossessions either as he was a successful MMA fighter and champion body builder in the past. Danny’s wife promises that he’s sweeter than his intimidating presence would suggest. Ken is the President and Co-Owner of International Recovery Group (IRG). His repossessions have exceeded $300 million in 43 states including boats, airplanes, construction equipment, trucks, buses, RVs, and even racehorses. IRG’s recovered assets return about $10 million annually to the banks. When Ken isn’t chasing down multi-million dollar assets, he’s a dedicated family man and spends a lot of time coaching his kids in baseball, soccer, and basketball. 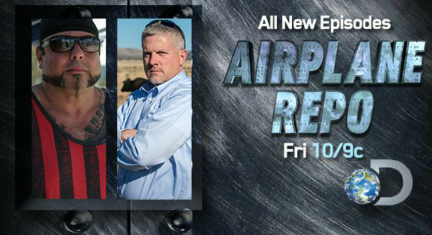 Season 3 of “Airplane Repo” is airing on Discovery Friday nights at 10/9c.